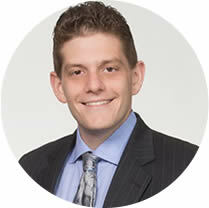 Jason Stein was born and raised in Olney, MD. Growing up he played all organized sports and was a huge fan of them all too. After high school he attend the nearby University of Maryland. However, while in college, his focus shifted away from sports and towards business as he worked towards obtaining his degree. With his eyes initially set on becoming a sports agent, Jason pursued a degree in Criminology and Criminal Justice and graduated from Maryland in 2011. Throughout his time at UMD, Jason worked at the University’s Golf Course and Clubhouse until he received an internship his senior year as an executive recruiter for Federal Consulting Resources (FCR) in Washington, DC. FCR is a customer-focused executive, management and technical search firm that provides staffing and consulting services to the Federal Integration sector. After graduating and successfully completing his internship he was offered the chance to continue his position at the firm full time, which he accepted. Over the course of five years he quickly developed as a recruiter at FCR, earning National Pacesetter Awards and ranking in the Top 20% of all Search Consultants within the MRI franchising network his first two full years. As the company moved out of the MRI Network, he developed into the Account Executive role where he was responsible for developing more than 20 new clients and generating over one million dollars in personal billings. At FCR he played a vital role in establishing relationships with current and prospective recruitment clients while also identifying, qualifying and submitting job candidates for various positions across the FCR client portfolio. On the side Jason also aids and supports an emerging organization, Front Office Sports. Led by a group of students at the University of Miami, they are a leading educational resource for those who aspire to work in sports business. Jason has applied his recruitment and business experience towards developing strategic partnerships and relationships for FOS as the website continues to rapidly expand its presence within the sports business community. Through a mutual partnership with Front Office Sports, Jason met Bob Hamer, the President and Founder of Sports Business Solutions. They quickly hit it off as they both are incredibly driven, they share a passion for sports business and have a desire to help others succeed. After visits to Phoenix and numerous conversations, Bob offered Jason the chance to join Sports Business Solutions full time as the Director of Recruiting as the company looked to develop a more traditional executive search and recruitment practice. In 2016 Jason left FCR to join Sports Business Solutions full time. In his current role at SBS he’s responsible for leading all recruiting efforts. His duties include new business development, maintaining current recruiting partnerships, and sourcing new quality job candidates for Sports Business Solutions’ clients. Jason has a passion for the recruiting business. He truly enjoys helping people grow their careers, while also assisting his clients in finding the right job candidates. Having the ability to combine that with his entrepreneurial spirit and love of sports makes his new role with Sports Business Solutions a perfect fit. Jason currently resides in Gaithersburg, MD and he’s eager to help Bob and SBS build the most successful recruiting practice in sports. Something most people don't know about me: Nearly since birth, I have lived with no sense of smell (anosmia) due to a lack of functioning olfactory bulbs.